Weird and wacky, colorful and creative—that’s Austin for you. Explore any of its neighborhoods and you’re bound to stumble on an ever-changing gallery of murals and street art. Whether an ode to the city of Austin, a play on words or a unique cartoon character, some of these public works of art have become beloved icons in the capital city. Stop by a few of the most famous pieces to snap a picture. 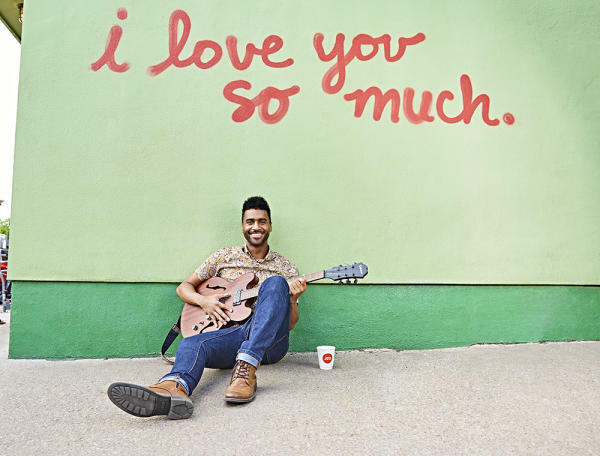 Austin musician Tje Austin at the I love you so much mural. Credit Annie Ray. In the heart of the South Congress (SoCo) entertainment district and located on the side of Jo’s Coffee - known for its sweet Iced Turbo coffee, mouthwatering tacos and unparalleled people-watching - the “I love you so much” mural is perhaps Austin’s most well-known. In fact, this simple yet timeless message attracts such a following that there’s sometimes a line to take a picture in front of it. Pro Tip: To beat the crowds, make this your first destination of the day, and be sure to grab a cuppa joe from Jo’s while you’re here. Like a vibrant postcard you can step into, the iconic “Greetings from Austin” mural welcomes visitors to the South Austin neighborhood. Get the Shot: Stand between the painted capitol building and the word “Capitol” and have someone take your picture to capture the entire iconic image. 2000 E. Martin Luther King Jr. Blvd. What fun is a picture with your sweetheart if you’re not going to get a little corny? Take your beloved to this pun-tastic, picture-perfect mural in East Austin for a sweeter-than-sweet shot. Pose Perfect: Stand between the fluffy slice of bread and the melty cube of butter (right beneath the heart!) to strike a pose. 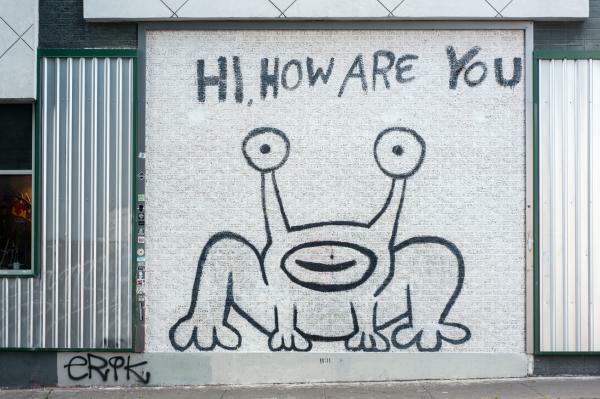 Hi, How Are You Mural. Credit Carmen M. Fischer. Do It Right: Eat lunch at the cleverly named Thai, How Are You? restaurant, and then walk around the corner to snap a picture of this beloved creature painted on its side wall. What do you hope to accomplish in your lifetime? Have you got a dream you’ve never shared before? Now is the time. Make the Most of It: Pick up a piece of chalk and add your own life goal to this fill-in-the-blank, interactive piece located just a couple blocks from South Congress Avenue. Then, snap a picture to share your dream with the world.